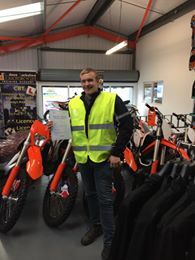 "Dave Barkshire Motorcycles in Norwich, Norfolk" - All Things Bike! 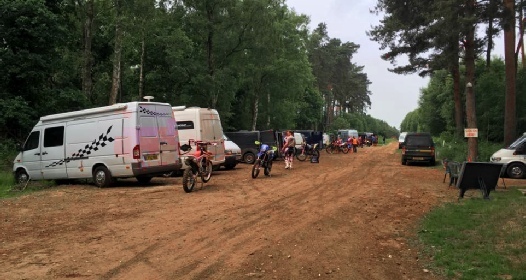 Our Hit The Dirt off-road, Enduro practice track off the A47 at Swaffham is proving as popular as ever, and we’re pleased to have added a handy refreshment area new for 2017, where you can enjoy hot and cold food and drinks. You’ll also notice that our website www.hitthedirt.net has had a bit of makeover, with great new photos and information added to keep you informed about the track. 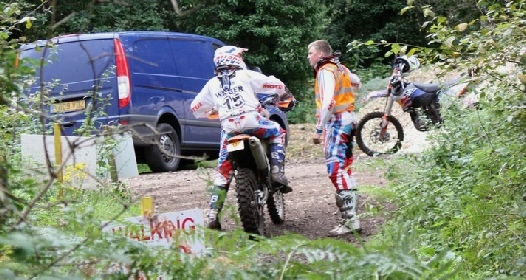 For those of you not familiar with the Hit The Dirt track, it’s vibrant forest setting throws up some great challenges and we're proud to be associated with the Auto-Cycle Union (ACU), the top organisation for motorcycle sport and the Forestry Commission, who do such a great job managing our woodlands across the country. As you’ll see from reading some of the comments from riders on our website, it’s a “top track and wicked fun”. Meanwhile, for those of you looking to buy a new or used bike, take a look at http://www.davebarkshire.net where you’ll find great names such as KTM, Kawasaki and Peugeot. We’re also pleased to offer a full bike servicing facility with skilled technicians to keep your machine in great running order. 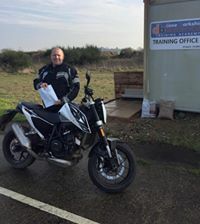 Finally, over at our Motorcycle Training facility,www.davebarkshiremotorcycletraining.co.uk we’ve seen another crop of eager riders enjoy test success, including Stuart, Mohamed, Darren, Rob and Alex in mod 2 and Hugh and Steph in mod 1. 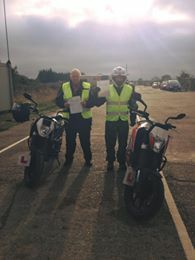 Our comprehensive courses run by highly experienced instructors can help you become a successful motorcycle rider too! Hope to see you at our Hit The Dirt track, Rackheath Motorcycle showroom or Motorcycle Training facility soon! As Autumn turns to winter, we’ve seen the final round of the Dave Barkshire Two Man Enduro Championship, another clutch of great motorcycle test passes, and sadly a few bad weather closures at the Hit The Dirt Track. The final round of the Dave Barkshire Two Man Enduro Championship took place at the Little Loveney Hall Wakes Colne track at the end of October, organised by the Halstead Motor Cycle Club. The challenging track featured many twists and turns and made for an exciting event. We’re now looking forward to next year’s championship and any new challenges that may offer.